Salaries are a good way to obtain an overview of what is happening in any industry, better still is a record of year-on-year data, as this reveals trends and the direction an industry is heading. As DevOps methodologies become mainstream and are gradually recognised as the fuel powering software innovation, our latest DevOps Salary Report research uncovered some pretty interesting trends that help document the pace at which DevOps practitioners are rewarded across Europe and internationally. As businesses are increasingly changing the way they deliver IT services and software across the globe, businesses are in need of the right talent who can adapt to this shift, raise the bar for software delivery and play an integral role in innovation. This year's report – which draws from over 3,000 responses collected through the 2018 State of DevOps survey – underscores that as more organisations prioritise DevOps, they are putting more resources into finding the best talent that can support their IT strategies and objectives, especially as more complex technology infrastructures require diverse skill sets. This year’s data uncovered that IT Practitioners salaries are closing in on manager wages in most parts of the world. The growth reflects how the emergence of new tooling related to automation, delivery and orchestration - along with the skills required to use them - is having a positive effect on the monthly cheque. Whilst some might think technology automation is responsible for job losses, on the contrary it is driving a higher demand for hands-on expertise in tooling and practices. With Kubernetes preaching powers of magnitude and agile businesses starting to containerise their applications, the demand for a knowledgeable workforce is driving higher wages at a practitioner level. Compared to last year, IT practitioner salaries have increased internationally during the same timeframe. From a global perspective, 85 per cent of US manager respondents reported incomes over $100,000 whereas this year, that percentage has dropped to 72 per cent. If we look closely at the UK market, there is a marked increase in the middle of the range, with 26 per cent of IT practitioners falling into the $75,000 to $100,000 range, up from 17 per cent last year. 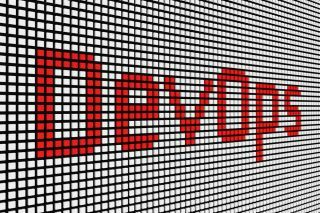 These results reveal a changing IT jobs landscape in which ‘hands-on’ DevOps expertise is beginning to take centre stage. The closing pay gap between IT practitioners and managers indicates that as more organisations adopt DevOps, or start to prioritise an existing practice, increased resources are being put behind finding and retaining the best practitioner talent. The bar is set high with today’s practitioners requiring diverse skill sets to enable them to support the IT strategies and objectives of a business, especially in organisations with more complex technology infrastructures. The salary data also shows that larger businesses, which traditionally are equipped with more complex technology infrastructure, are prepared to pay more for experience and diverse skill sets as well as for higher-level managers. For example, at organisations with over $2B in revenue, the majority of IT jobs (79 per cent) pay $75,000 or above. Comparatively, less than half (47 per cent) of IT jobs at organisations with less than $50M in annual revenue pay within the same range. In Europe, we found 43 per cent of European respondents make less than $50,000, with France seeing lower incomes (especially in the lower ranges) than those reported in the whole of the region. Germany, on the other hand, reported more managers and practitioners in the higher ranges, suggesting that the larger number of international, enterprise-level corporations are headquartered in Germany. It makes sense for large enterprises to gain a competitive edge from investing in those automation tools and DevOps methodologies which can deliver timely software solutions to users around the world and help them maintain a competitive edge. Growing a practice with this capability takes the best talent and that means paying more for highly skilled practitioners and managers who drive innovation and maintain an enterprise’s complex technology infrastructure. This is borne out by actual survey data, which shows that in businesses where there is strong leadership support for DevOps, 43 per cent of those surveyed reported incomes over $100,000 versus 37 per cent where initiatives are only sometimes, rarely or never supported. In addition to measuring manager salary data versus those in a practitioner role, the DevOps Salary Report examined trends by department, industry, region, gender, minority group membership and company revenue. Perhaps unsurprisingly, we found that some industries pay better than others. While most sectors demonstrate the type of symmetrical distribution we’ve come to expect, the pursuit of digital transformation and modernisation to gain online and omnichannel customer engagement, is driving higher IT practitioner pay across Retail. Forty-seven per cent of those surveyed in retail make more than $100,000, about ten per cent more than any other vertical including healthcare, financial services, and technology. From a gender pay-gap perspective, male respondents overwhelmingly outnumbered women this year, with top salaries for men averaging the $100,000 mark versus $75,000 for women. Even though these salaries continue to lag behind, our data showed that in Europe there is more parity at top salary levels compared to the US. This situation will surely improve as more women enter the sector in both managerial and IT practitioner roles – something that will hopefully be encouraged by publicising the great salary opportunities. According to business analysis firm, Gartner, more than half of global companies using cloud today will adopt an all-in-cloud strategy by 2021. With cloud-native dictating the pace at which the industry should be moving as well as bringing a new approach to the way applications are designed and deployed, the demand for IT talent able to master the latest tooling and technologies will keep on increasing. Based on our data – and in line with our goal of providing some pragmatic and prescriptive guidance in our reports – those ambitious individuals wanting to earn more should consider three main factors in their next job hunt: the extent to which DevOps methodologies are accepted at a senior level, the size of the organisation (as measured by annual revenue) and the type of industry. Specifically, candidates should look at those organisations where senior leadership has demonstrated support for DevOps methodologies. These are often places where successful DevOps initiatives are talked about publicly, or when the folks on the ground are able to share their experiences in the open. It is also proven that larger companies pay better than smaller ones, so candidates should evaluate positions amongst those organisation processing over $2B in revenue. Lastly, it has emerged that fast-paced industries – where competition from born-in-the-cloud companies is disrupting the status quo – are more rewarding than those still catching up with legacy infrastructures. It is certainly an exciting time to be in DevOps!